SOT 161 uses reasonable balance between physical presence and technical equipment on sites to ensure the highest level of security. Thus, the human factor is combined with the latest highly efficient security, video surveillance and access control technology. The Physical Security Directorate’s structure includes a modern Operations Control Center (OCC). 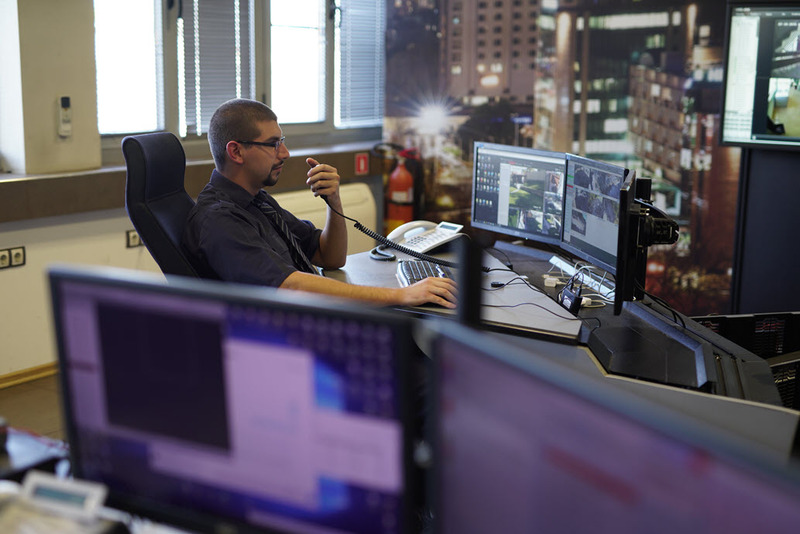 OCC enables video control of the security guards during work in more than 700 sites and the validity of the incoming alarm signals is verified. A Real-Time Control System is implemented in most of the sites. Panic button systems are installed at the guarded sites and the connection to the Operations Center is carried out through IP- and GPRS-based environments for voice and data transmission and through our private radio networks. SOT 161 cars and motorcycles on duty, over 110 per shift throughout the country, provide 24-hour additional support of the physical guarding and contribute to decreasing the number of employees at the sites, thus helping to reduce the security costs of Clients. Serdika Center Sofia; Sky City Mall; Sofia Outlet Center; Metro, Technopolis, Kaufland, Technomarket, Billa, Aiko, Penny Market, DM, Sport Depot, ZARA, Beauty Zone, Douglas, Deichmann retail chains; Victoria pizzerias, McDonald’s restaurants, Arena Multiplex Cinema etc. ProCredit Bank, United Bulgarian Bank, Piraeus Bank, Raiffeisenbank, Municipal Bank, Postbank, City Bank, TBI Bank, Corporate Commercial Bank, Societe Generale Expressbank; holiday houses of the Bulgarian National Bank at the resorts of St. Constantine and Helena and Pamporovo; Cash Company AD; New Bulgarian University; Military Medical Academy, etc. The Embassies of Great Britain, Italy, Saudi Arabia, Kuwait, Hungary, Czech Republic, Estonia, Ireland, Finland, South Africa, Norway, Denmark, Kosovo, etc. The breweries of Carlsberg Bulgaria AD, Prinsko Pivo and Shumensko Pivo; Aurubis Bulgaria AD, Pirdop, an electrolytic copper production plant, Devnya Cement and Vulkan Cement plants; Mondelēz Bulgaria Production Ltd in Svoge and Kostinbrod; Octa Light in Godech; Sensata Technologies Bulgaria and Integrated Microelectronics Bulgaria in Botevgrad; Glavbolgarstroy AD, etc. Sunny Beach Resort, Oasis Vacation Village, Tsari Mali Grad Fortress in the village of Belchin, Pelistera Fortress, entertainment parks in Peshtera, etc. 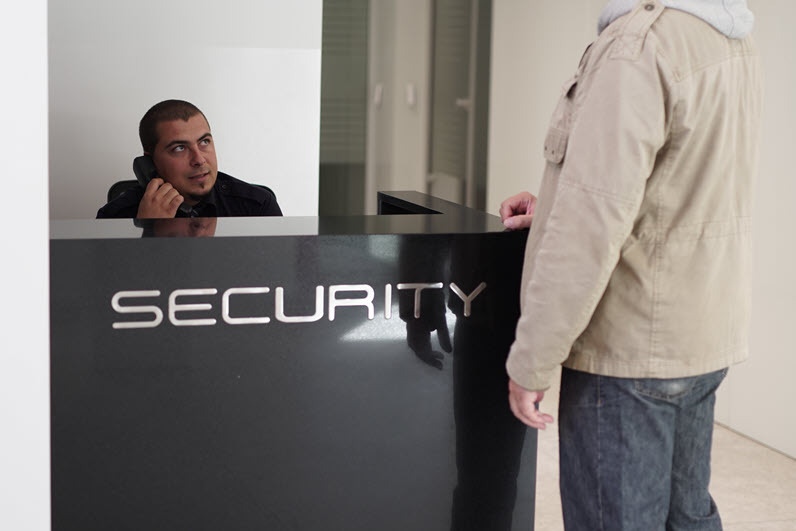 Please contact the SOT EOOD 24-hour Call Center at: +359 2 91165 with your interest or any questions, and during workdays contact our Marketing Department experts with the Physical Security Directorate, Mr. Vasil Krystev: +359 884 122 206, Mr. Angel Bahchevanov: +359 884 544 193, +359 2 9116513, or Mr. Svilen Sotirov: +359 884 770 224, +359 2 911 6513 for inspection, guarding survey and quote. We believe that we can provide the best tradeoff between price and quality of service.